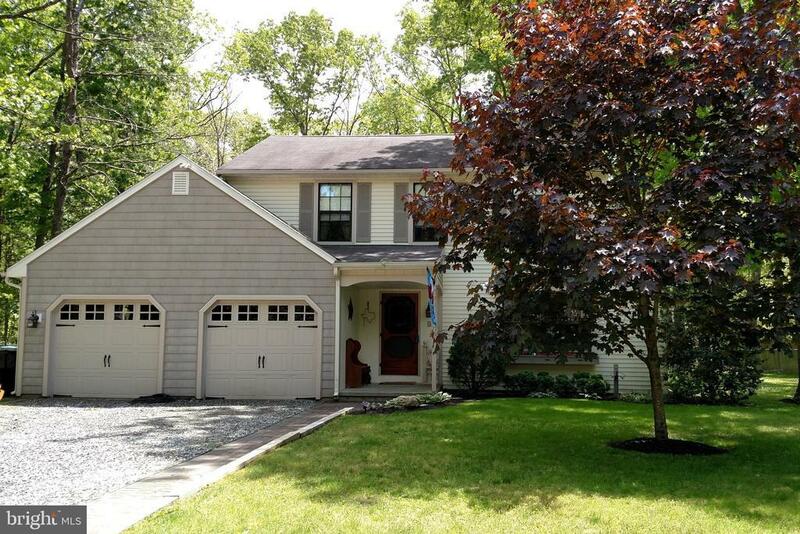 Nantucket style Colonial with Cedar Shake accent siding in Walden Chase development, seconds off of Route 73 and minutes to AC Expressway. New roof 2005, 2 zone AC, new siding 2006, cathedral ceiling FR with French doors to deck, living and dining room adjoining, 2 1/2 baths, new gas heat 2005, 2 car garage, 3 spacious bedrooms, newer appliances, privately situated on a wooded cul-de-sac lot. Great size home and priced for 2019 market!! !